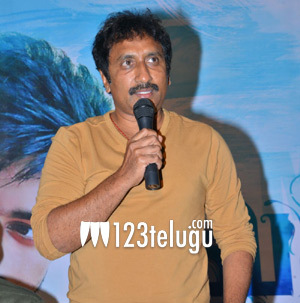 Sreenu Vaitla is in a do or die situation as his new film Mister needs to get a hit talk at any cost. The director is busy shuffling to various television channels and is promoting his film aggressively. Speaking during these interviews, Sreenu Vaitla says that he is very sure that this film will click at the box office. Adding further, he says that he has presented the film in a completely new way this time around which will impress both the youth and family audience. He finally ended by saying that the film will have his trademark kind of comedy which has been nicely mixed with the triangular love story. Mister has Lavanya and Hebah Patel as female leads and is up for a release on April 13th.